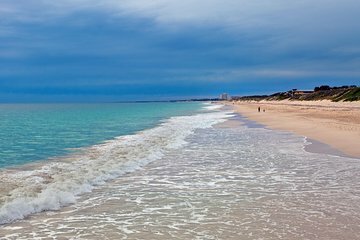 Explore the beaches, bushlands and natural wonders around Perth on this full-day small-group tour. Spot iconic Aussie animals like grey kangaroo and koalas as you journey through the Yanchep National Park; take in the views over Lake Wagardu; and step inside the ancient Crystal Cave. After tucking into a delicious lunch at the Chocolate Drops Tearoom (included), uncover the secrets of the universe at the Gravity Discover Centre, stroll along Burns beach and visit the surf hotspot of Scarborough Beach.